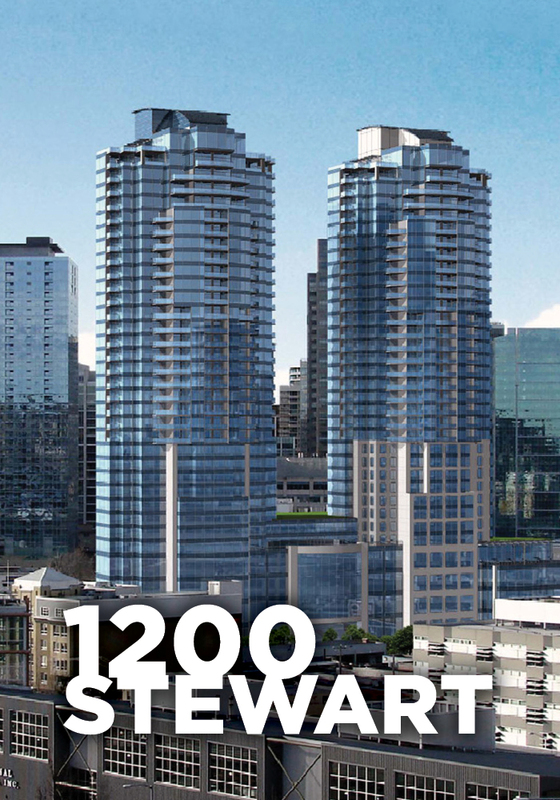 Located at the Eastern edge of the Denny Triangle neighborhood, 1200 Stewart is a gateway project for downtown Seattle. Development approvals include twin 400 foot high rise residential/hotel towers and 125’ mixed use podium. These attributes perfectly suit the sites proximity to the Amazon campus, convention center expansion, and quick freeway access. The project programming is flexible for development of apartments or condominiums. Additionally, the site location at the northern edge of its zoning area, allows for sweeping views of Lake Union, Puget Sound, Downtown Seattle, and both the Cascade and Olympic Mountain ranges. Approximately 54,000 square feet of land with current uses including singles story commercial/retail buildings and surface parking lots.